The summer of 2000 I was in Dallas and had just recently started a theatre company called Audacity Productions a few months prior. At the time I was operating between Dallas and New York City. I had done some work in NYC as a playwright, lighting board op and actor, but had landed a gig in the autumn on 1999 as a theatre teacher at a public high school in my hometown, a suburb just outside of Dallas. The fellow they had hired had quit mid-semester and I applied and almost instantly got the job, despite only being a year out of undergrad and having absolutely no teaching experience whatsoever. I would retrun to NYC the following summer, but I figured I'd start making theatre while I was in the Dallas area, so my friend Tiffany Kellerman and I formed Audacity Productions. After doing one staged reading and planning out a production of Beckett's WAITING FOR GODOT, I realized I just didn't know very many people in Dallas. I needed to do a project that let me meet a bunch of theatre types all at the same time. On September 3, 1999, I participated in Crux Productions' 24-Hour Plays Fest in New York at the Ohio Theatre. I thought it was an excellent concept. I remember it well because it was a weekend or so before my birthday, which overlapped Hurricane Floyd. I found out years later, Tina Fallon, the mastermind behind the 24-Hour Plays had been inspired by Scott McCloud's 24-Hour Comics event. And in turn, the 24-Hour Plays inspired the 48-Hour Film Festival, which then inspired a bunch of 24-hour film events around the country (including the 24-Hour Video Race here in Dallas hosted by the Dallas Video Festival ). The 24-Hour Plays are still running and have, in fact, spread around the world. So, having a theatre company of my own and, by a fortunate twist of fate, access to a college black box theatre (Collin County College's facilities at the Spring Creek Campus in north Plano, Texas), I did my own version of the 24-Hour Plays. 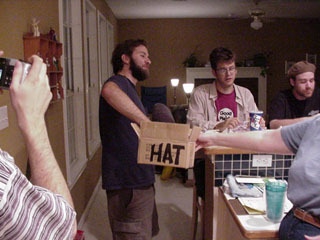 May 19-20, 2000 Audacity Productions gathered together more than thirty actors, writers and directors. In the course of 24 frantic hours five plays were produced, from scratch, as full-scale productions for live, paying audiences. 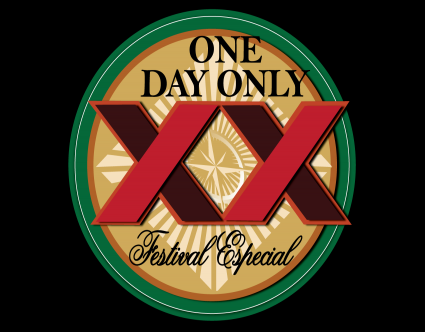 The project was called ONE DAY ONLY! A highly truncated short play festival, it involved locking five playwrights together in a cheap motel room over night as they wrote five separate scripts based on ideas they drew from a hat. Directors lead actors in the blocking, rehearsing, memorizing, and teching of the shows over one hectic twelve hour stint. I only meant for it to be a one-shot event. But, in that first One Day Only! two of the participants were Jason and Carol Rice, a married couple who had just returned to the DFW area and were thinking about starting a company of their own. That company became Rover Dramawerks which has gone on to ba a really solid organization in the city of Plano over the last decade (I got to direct their first production in July of 2001, Edward Albee's EVERYTHING IN THE GARDEN). The Rice's approached me after the first ODO! and wanted to continue it. Not overly enthusiastic, but not against the idea I said okay. So, Audacity Productions and Rover Dramawerks teamed up for three more of ODO!s. Playwright Greg Romero draws from the "hat" in 2002's One (More) Day Only! By 2004 I was ready to move on. I gave the Rice's my blessing and went on to develop Audacity Productions in other directions. Jason and Carol kept at it and now, 13 years later, One Day Only! 20 is seeing the light of day. My hats off to them. It has gone on from a one-shot art-event to become a kind of small-scale institution. And I'm returning to be a part of it. I'm not entirely sure what to expect, but I'm pretty excited about it. I will be writing a play as one of the seven writers on the project. This is Rover's TWENTIETH installment of 7 writers, 7 directors, and about 40 actors creating seven short plays from concept to curtain in just one day. And you can witness history by being in our audience! That's right - you can say, "I was there to see seven world premieres." At the Courtyard Theater, 1509 H Avenue, Historic Downtown Plano. Visit our website at www.roverdramawerks.com for more information.